Designed to lift and conture the neck and jawline and soften fine lines around the mouth, crows feet and frown lines. In medical terms “Selective Inflammatory Response”, it is the principle behind a lot of aesthetic procedures (such as Fractional Laser, Chemical Peels & MicroNeedling). Our skin is very good at repairing itself, and by inserting NOVATHREADS we make it ‘heal’ itself by creating new collagen, naturally. PDO is fully absorbable, but that doesn’t mean your skin won’t react to it. 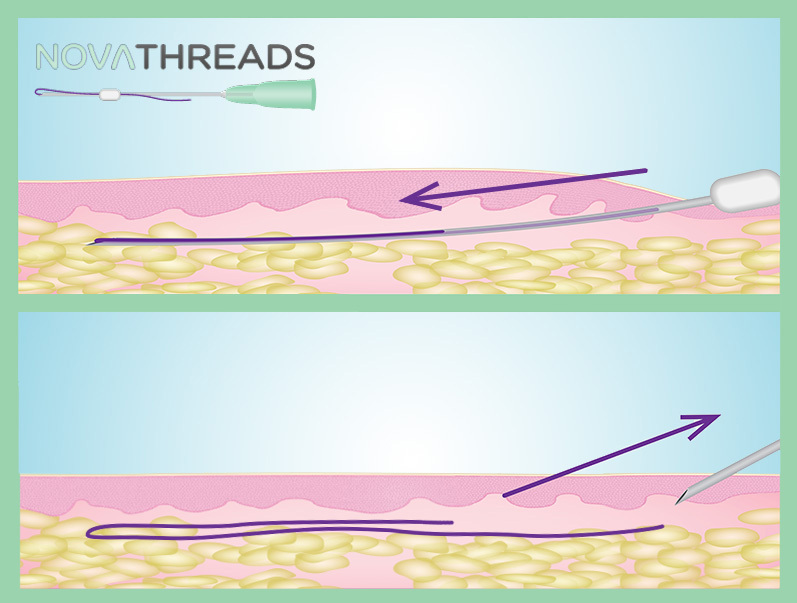 During the 4 to 6 months needed to fully absorb the PDO suture, your skin is also repairing itself around it. It’s “controlled healing” happening underneath the skin.